Even if you do the initial settings for your email software, when you try to send an email from Sansan, in some cases the email software you regularly use may not open up. Here we will show how to open up email software such as Thunderbird, Becky, Outlook, or Notes. * This is for Windows 7. For PCs using other versions, please check the appropriate item names. 1. From the Windows start menu, select "Default Programs". 2. Click on "Set your default programs". 3. From the left side of the screen, select the email software that you usually use. 4. Click on "Choose defaults for this program". 5. 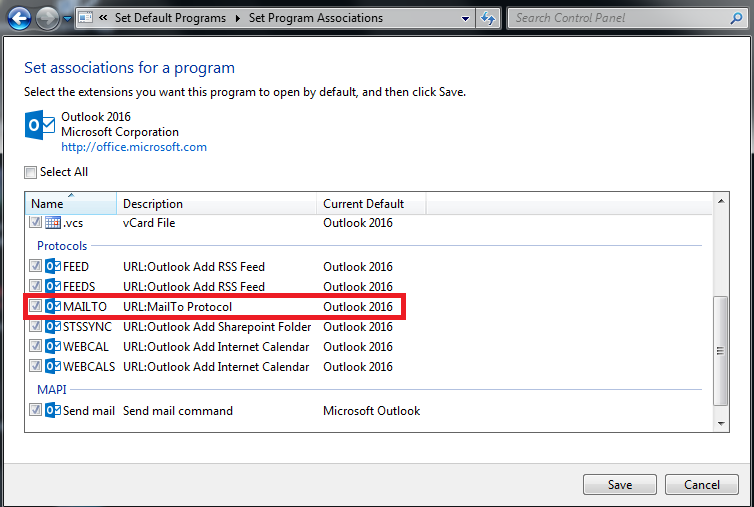 From the screen for setting program associations, under "Protocol" put a check next to "MAILTO", and then click on "Save". 6. Open up your browser, and try to send an email from Sansan. From the Windows start menu, select "Default Programs". 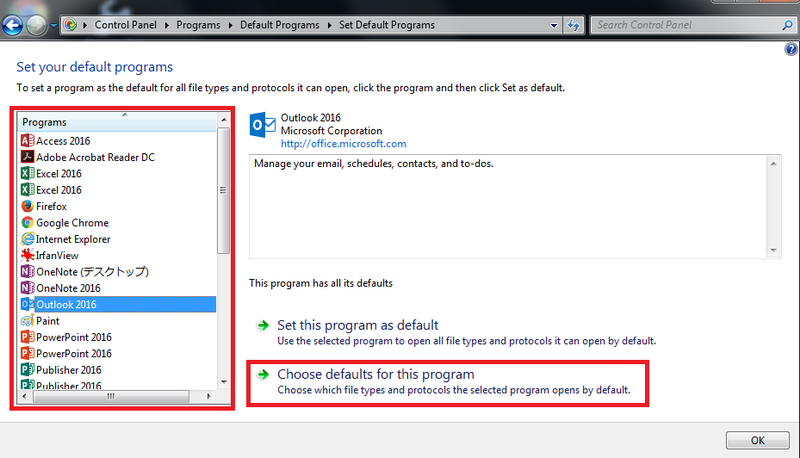 Click on "Set program access and computer defaults. Select as a structure either "Microsoft Windows", "Other than Microsoft", or "Custom". For "Email program", select the email software you usually use, and then click on "OK"
Restart the browser, and try to send an email from Sansan.